How precious is copper? There once was a time when copper comprised the bulk of a United States cent piece (now it is mostly zinc composition), and recently news of copper thefts have brought awareness to its value. Thieves are willing to take copper from telephone wires and electric substations, often at great personal risk, to sell for scrap. 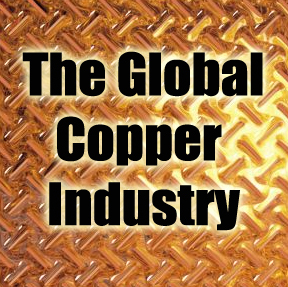 Even in a progressively wireless global community, copper plays an important role in the way we work and live. As an excellent conductor of electricity and heat, this precious metal remains relevant and in high demand. Copper is one of the world’s most versatile elements. It is recyclable and malleable, and is used in the creation of brass and bronze. The Statue of Liberty is perhaps the best example of a structure that uses a great amount of copper. Nearly eighty tons were used to build it. According to Geology.com, there could be as much as 300 million tons of copper not yet discovered in the United States alone. On average, about 85 million metric tons may be mined annually around the world. Chile – These days, people may associate Chile’s mining industry with the 2010 accident that had the world watching a dramatic rescue of thirty-three trapped miners. Before this occurred, Chile was producing more than five million tons of copper a year, and remains a world leader in the industry. Copper exports account for a third of the nation’s income. With the versatility of copper comes the growth in opportunity for its use. Copper is used in everything from minting currency to building cargo ships. Telephone lines may one day come down, but the copper used in them can be re-purposed for other necessities. Tapping into reserve mines in the US and a growth in recycling is sure to keep copper a valuable metal anywhere in the world.